 Chapter 36C - North Carolina Uniform Trust Code. Article 1 - General Provisions and Definitions. § 36C-1-105. Default and mandatory rules. § 36C-1-106. Common law of trusts; principles of equity. § 36C-1-108. Principal place of administration. § 36C-1-109. Methods and waiver of notice. § 36C-1-110. Others treated as qualified beneficiaries. § 36C-1-111. Nonjudicial settlement agreements. § 36C-1-112. Rules of construction. § 36C-1-113. Construction of certain formula clauses applicable to estates of decedents dying in calendar year 2010. § 36C-1-114. Insurable interest of trustee. Article 2 - Judicial Proceedings. § 36C-2-201. Role of court in administration of trust. § 36C-2-202. Jurisdiction over trustee and beneficiary. § 36C-2-203. Subject matter jurisdiction. § 36C-2-205. Commencement of proceedings, pleadings, consolidation, and joinder. § 36C-2-206. Representation of parties. § 36C-2-207. Waiver of notice. § 36C-2-208. Accounting to clerk. § 36C-2-209. Qualification and accounting of trustee of a testamentary trust. § 36C-3-301. Representation: basic effect. § 36C-3-302. Representation by holder of power of revocation or general power of appointment. § 36C-3-303. Representation by fiduciaries, parents, and other persons. § 36C-3-304. Representation by person having substantially identical interest. § 36C-3-305. Appointment of representative; scope of representation. Article 4 - Creation, Validity, Modification, and Termination of Trust. § 36C-4-401. Methods of creating trust. § 36C-4-401.1. Interest of trustee as beneficiary of life insurance or other death benefit sufficient to support inter vivos or testamentary trust. § 36C-4-401.2. Creation of trust by a court. § 36C-4-402. Requirements for creation. § 36C-4-403. Trusts created in other jurisdictions. § 36C-4-405.1. Enforcement of charitable gift or trust. § 36C-4-405.2. Spending rules applicable to charitable trusts. § 36C-4-406. Creation of trust induced by fraud, duress, or undue influence. § 36C-4-407. Evidence of oral trust. § 36C-4-408. Trust for care of animal. § 36C-4-409. Noncharitable trust without ascertainable beneficiary. § 36C-4-410. Modification or termination of trust; proceedings for approval or disapproval. § 36C-4-411. Modification or termination of noncharitable irrevocable trust by consent. § 36C-4-412. Modification or termination because of unanticipated circumstances or inability to administer trust effectively. § 36C-4-414. Modification or termination of uneconomic trust. § 36C-4-415. Reformation to correct mistakes. § 36C-4-416. Modification to achieve settlor's tax objectives. § 36C-4-417. Combination and division of trusts. § 36C-4-418. Distribution upon termination of trust. § 36C-4-419. Effect of inalienable interest on modification or termination. Article 4A - Tax Status of Charitable Trusts. § 36C-4A-2. Reformation of charitable remainder trust. Article 4B - Charitable Remainder Trust Administration Act. § 36C-4B-4. Administrative provisions applicable to both charitable remainder annuity trusts and charitable remainder unitrusts. § 36C-4B-5. Administrative provisions applicable to charitable remainder trusts only. § 36C-4B-6. Administrative provisions applicable to charitable remainder unitrusts only. Article 5 - Creditors' Claims; Spendthrift and Discretionary Trusts. § 36C-5-501. Rights of beneficiary's creditor or assignee. § 36C-5-503. Exceptions to spendthrift provision. § 36C-5-504. Discretionary trusts; effect of standard. § 36C-5-505. Creditor's claim against settlor. § 36C-5-507. Personal obligations of trustee. Article 6 - Revocable Trusts. § 36C-6-601. Capacity of settlor of revocable trust. § 36C-6-602. Revocation or amendment of revocable trust. § 36C-6-602.1. Exercise of settlor's powers with respect to revocable trust by agent or guardian. § 36C-6-603. Settlor's control of revocable trust. § 36C-6-604. Limitation on action contesting validity of revocable trust; distribution of trust property. § 36C-6-605. Failure of disposition of property of a trust by lapse or otherwise. § 36C-6-606. Revocation of provisions in revocable trust by divorce or annulment; revival. § 36C-6-607. Modification or termination of a revocable trust. Article 7 - Office of Trustee. § 36C-7-701. Accepting or declining trusteeship. § 36C-7-704. Vacancy in trusteeship; appointment of successor. § 36C-7-705. Resignation of trustee. § 36C-7-706. Removal of trustee. § 36C-7-707. Delivery of property by former trustee. § 36C-7-708. Compensation of trustee. § 36C-7-709. Reimbursement of expenses. Article 8 - Duties and Powers of Trustee. § 36C-8-801. Duty to administer trust. § 36C-8-802. Duty of loyalty. § 36C-8-805. Cost of administration. § 36C-8-807. Delegation by trustee. § 36C-8-808. Powers of a settlor to take certain actions with respect to the trust. § 36C-8-809. Control and protection of trust property. § 36C-8-810. Record keeping and identification of trust property. § 36C-8-811. Enforcement and defense of claims. § 36C-8-812. Collecting trust property. § 36C-8-813. Duty to inform and report. § 36C-8-814. Discretionary powers; tax savings. § 36C-8-815. General powers of trustee. § 36C-8-816. Specific powers of trustee. § 36C-8-816.1: Repealed by Session 2017-121, s. 2.4, effective July 18, 2017. § 36C-8-817. Distribution upon termination. § 36C-8-818. Notice of deceased Medicaid beneficiaries. Article 8A - Powers, Duties, and Liability of a Power Holder Other Than a Trustee; Duty and Liability of a Trustee With Respect to Power Holder's Actions. § 36C-8A-2. Powers of a power holder. § 36C-8A-3. Duty and liability of power holder. § 36C-8A-4. Duty and liability of trustee. § 36C-8A-5. Compensation and reimbursement of expenses of power holder. § 36C-8A-6. Jurisdiction over power holder. § 36C-8A-7. Accepting or declining the appointment as power holder. § 36C-8A-8. Powers of trustee in the absence of a power holder. § 36C-8A-9. More than one power holder. § 36C-8A-10. Resignation of power holder. § 36C-8A-11. Removal of power holder. Article 8B - North Carolina Uniform Trust Decanting Act. § 36C-8B-5. Application; governing law. § 36C-8B-7. Notice; exercise of decanting power. § 36C-8B-13. Trust for beneficiary with disability. § 36C-8B-15. Trust limitation on decanting. § 36C-8B-16. Change in compensation. § 36C-8B-17. Relief from liability and indemnification. § 36C-8B-18. Removal or replacement of authorized fiduciary. § 36C-8B-20. Duration of second trust. § 36C-8B-21. Need to distribute not required. § 36C-8B-24. Terms of second trust. Article 9 - Uniform Prudent Investor Act. § 36C-9-901. Prudent investor rule; applicability. § 36C-9-902. Standard of care; portfolio strategy; risk and return objectives. § 36C-9-903.1. Duties as to life insurance. § 36C-9-904. Duties at inception of trusteeship. § 36C-9-906. Effect on charitable remainder trusts. Article 10 - Liability of Trustees and Rights of Persons Dealing with Trustees. § 36C-10-1001. Remedies for breach of trust. § 36C-10-1002. Damages for breach of trust. § 36C-10-1003. Liability in absence of breach. § 36C-10-1004. Attorneys' fees and costs. § 36C-10-1005. Limitation of action against trustee. § 36C-10-1006. Reliance on trust instrument. § 36C-10-1007. Event affecting administration or distribution. § 36C-10-1008. Exculpation of trustee. § 36C-10-1009. Beneficiary's consent, release, or ratification. § 36C-10-1010. Limitation on personal liability of trustee. § 36C-10-1011. Interest as general partner. § 36C-10-1012. Protection of person dealing with trustee. § 36C-10-1013. Certification of trust. § 36C-11-1101. Uniformity of application and construction. § 36C-11-1102. Electronic records and signatures. § 36C-11-1105: Reserved for future codification purposes. § 36C-11-1106. Application to existing relationships.